Sunday’s column is about David Merriam, a retired local judge who has exchanged his judicial robes for a tuxedo to preside over the Best in Show climax of the Westminster Dog Show. We had an enjoyable conversation about the philosophy of dog judging and the overlap between a courtroom and a dog show ring. Friday’s column starts with a leftover tidbit from my Kenneth Calhoun interview that was too good not to use: advice he got as a teen when Ray Bradbury spoke in Upland. 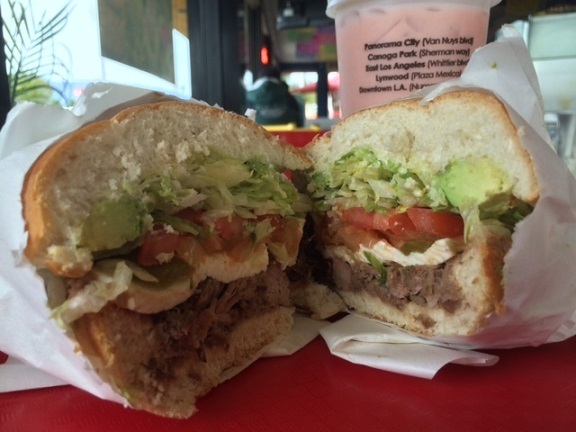 Also: news from Chino Hills and the cultural scene, and notice of my upcoming (next Friday!) talk in Pomona. A friend alerted me to the existence of 5 Star Pizza, which bills itself as the “best pizza in Ontario” and whose name pretty much promises the same thing. Their Yelp rating as of Feb. 9 is five stars. Well, it’s near our office, and I was hungry, so I dropped in for a late lunch. It’s in the Concours Center on Haven just below Fourth, where it replaced Pizza Factory late in 2014. 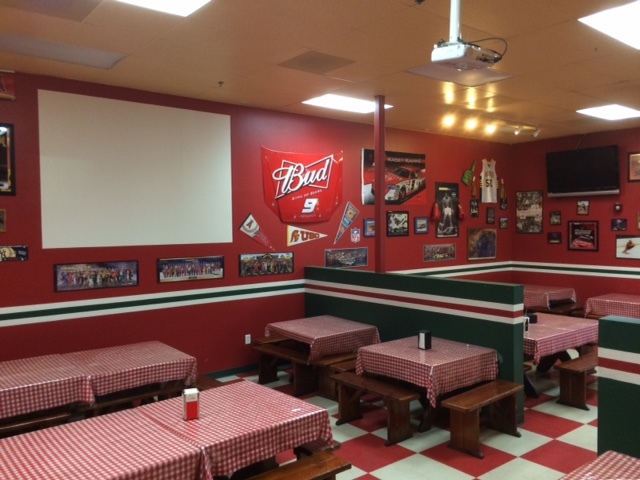 I’d been there once and hadn’t been impressed by the food, only by the comical dining room that reminds me of a high school gym with picnic tables: It’s got sports posters and pennants, a tile floor, giant TVs and one of those arcade games where you shoot baskets, all of which appear unchanged. 5 Star has an accommodating attitude. I’d missed the buffet, which had ended an hour before, but they still had a few slices out by the salad bar. The manager volunteered the buffet anyway and said they’d put out a fresh pizza. 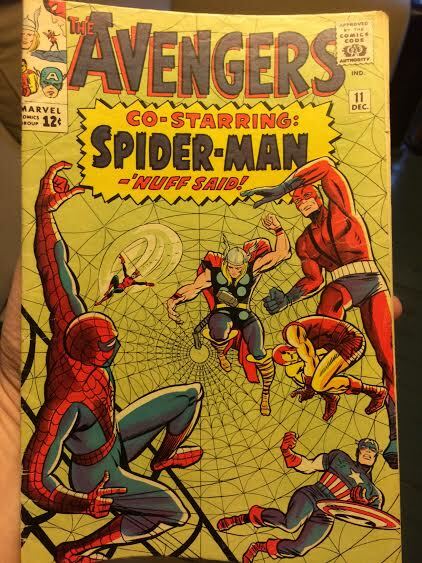 At $8, including soda, that was a good deal. (Officially it runs 10 a.m. to 2 p.m. weekdays.) 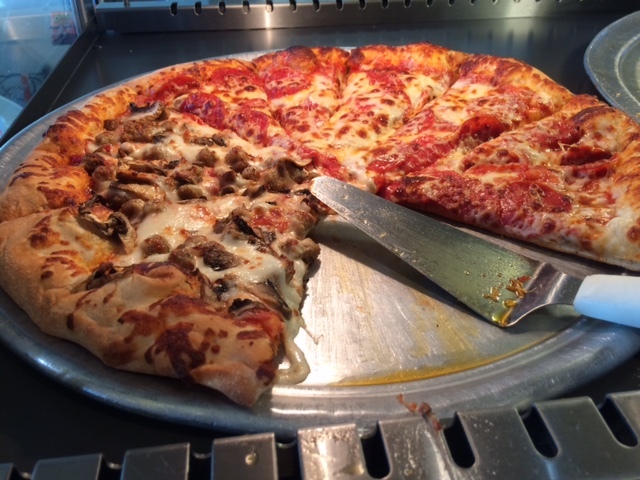 They started a pizza with pepperoni on half and asked what I’d like on the other half; I said sausage and mushrooms. Done. 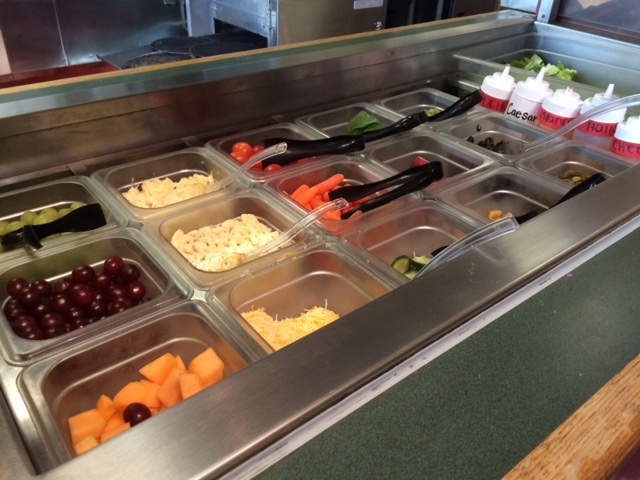 The salad bar was standard, except with dressing in squeeze bottles, which is actually a decent idea. For one thing, unlike open containers, you won’t find croutons floating inside. I sat near the entrance rather than occupy a lonely mid-afternoon spot in the sports room. The pizza had chewy crust, plenty of sauce and a decent amount of toppings. Not five stars by my book, but a solid three. The menu has $1.50 slices all day, every day (see, they ARE accommodating), plus wings, fried chicken, submarine sandwiches and three pastas, plus Hangar 24 beer. Among their specialty pizzas, priced $13 for small to $20 for extra large: all meat, mucho pepperoni (double portion), Philly cheese steak, Latino (pepperoni, carne asada, onion, green peppers and mushrooms), burger (hamburger, pickle, onion, tomato, green pepper and mushrooms) and, most unusually, Indian (all veggie with ginger, garlic and cilantro). I think 5 Star is Indian-run; there are brochures on the counter for Koyla, an Indian restaurant up the street. The owner was in and out making deliveries. 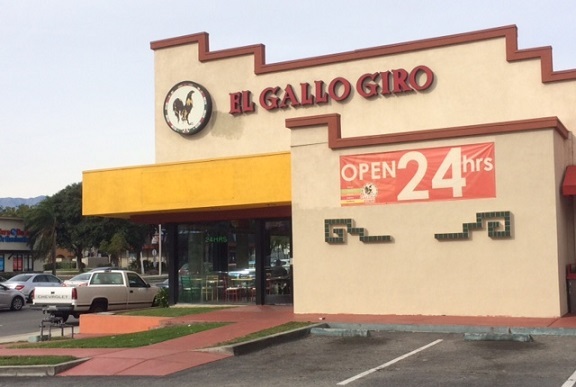 Seems like a scrappy place that will bend its own rules to accommodate customers. Is it the best pizza in Ontario? 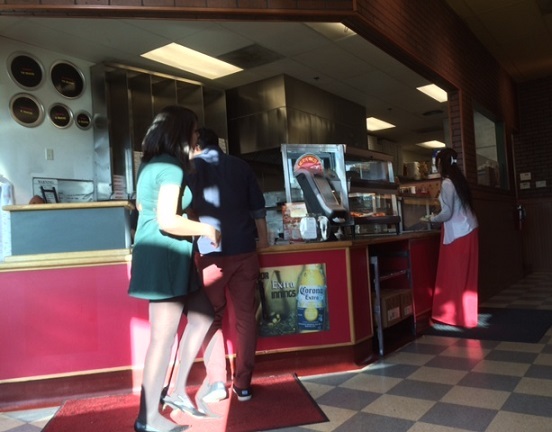 It’s not a big pizza town — if you know of a popular place, let me know — and the only pizza I can remember having here is a slice at Sbarro before a movie and a slice or two at Joey’s on Archibald a few years ago. 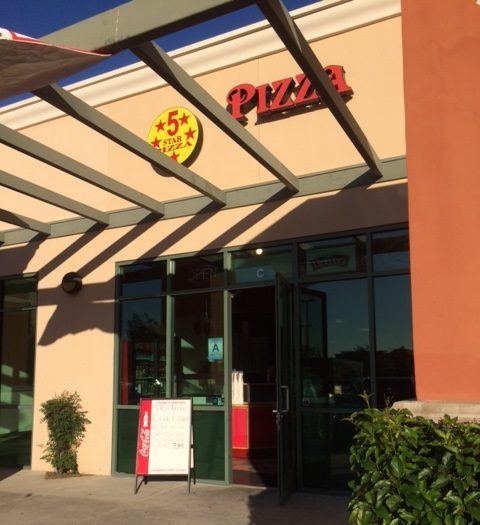 5 Star may very well be the best pizza in town, even though it was average to me. But they get an extra star for trying. Wednesday’s column is about the new book “Early Ontario,” part of the Images of America series of local history books, and some of the tidbits therein. After deadline I was told the $22 book will be sold for $15 at Wednesday’s launch party at the library, which takes place from 5 to 8 p.m. at 215 E. C St. Good deal. Also, I’ll be there selling my own book at regular price. 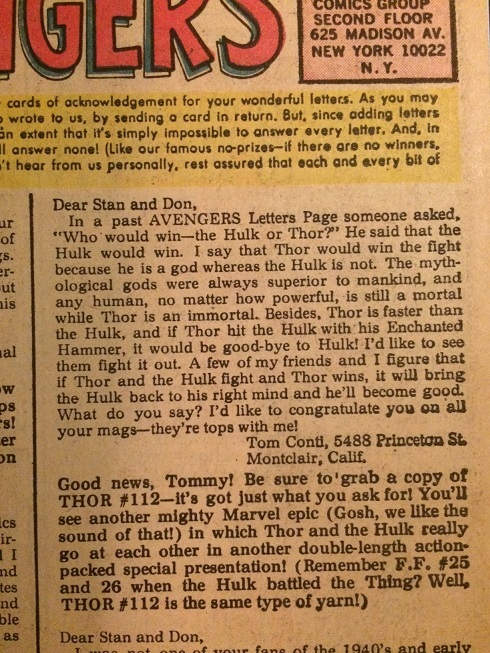 A young comics fan from Montclair had a letter published in The Avengers’ issue 11, cover-dated December 1964. Tom Conti and his pals wanted to see Thor and the Hulk really go at it, a request that editor Stan Lee was able to say was coming the very next month in a different comic. It’s not much of a letter, but you have to smile at Conti’s youthful enthusiasm. This is the second Inland Valley fan who had his name in the early days of Marvel Comics, the earlier one being Upland’s Mark Carey, who’d started a Fantastic Four fan club in 1963. 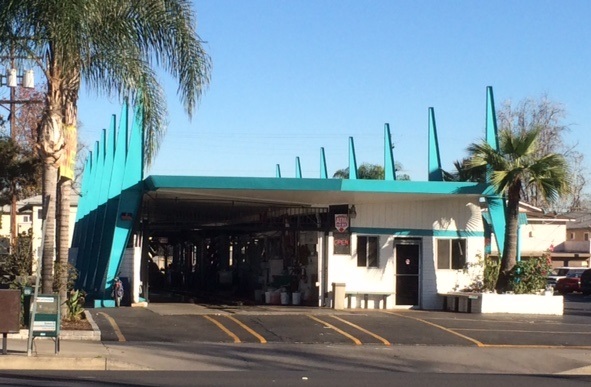 The latest in my occasional series of midcentury modern architecture posts (see earlier examples here) spotlights Mountain Avenue Car Wash at 820 N. Mountain Ave., Ontario. I have passed this car wash many times but was never so struck by it as one recent sunny afternoon when I had parked directly across the street. I walked out to the curb to take photos, admiring the turquoise paint and the (it looks like) 14 blades jutting skyward. You see those at a lot of car washes from that era. It’s an attention-getter and may reflect jet-age optimism. This dandy was built in 1961 as California Car Wash before later lowering its sights to become merely Mountain Avenue Car Wash. Thanks to Ontario’s Planning Department for looking up that detail. Sunday’s column has a rare sports-related item regarding the soccer star (with a link to his recent TV commercial), followed by Culture Corner items, an unusual question from a Cal Poly Pomona student and a new paint job for a Montclair icon. 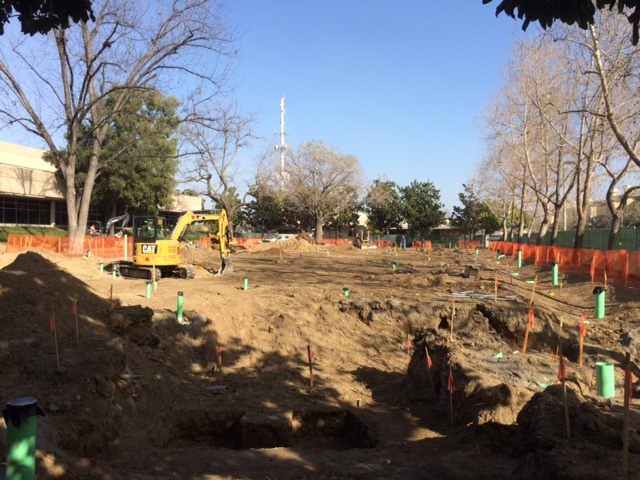 Friday’s column has the latest from Ontario, starting with the green construction fence around the dirt lot that used to be City Hall’s expansive front lawn. 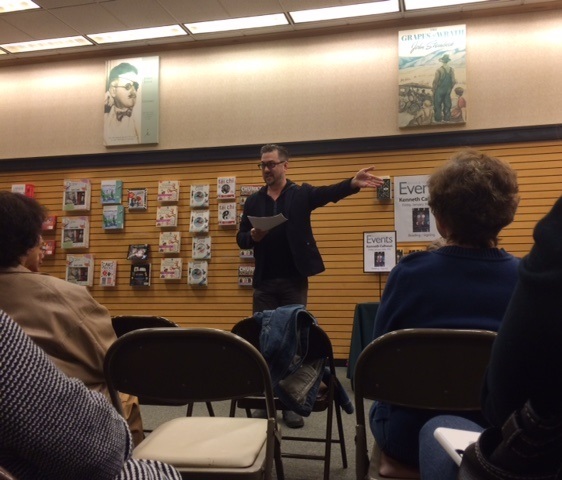 Above, Kenneth Calhoun talks during his reading Jan. 30 at Barnes and Noble in Rancho Cucamonga. Watch a one-minute video of his reading here. There aren’t many published novelists who hail from the Inland Valley, but Kenneth Calhoun is one. The native of Upland and Rancho Cucamonga last year saw his debut novel, “Black Moon,” published by Hogarth, an imprint of Crown, to generally positive notices. We’ve corresponded a little since then — we had a mutual friend, the late musician John Harrelson — and met up last Friday for a breakfast conversation during his visit from Boston; that night I attended his hometown reading at Rancho’s B&N.